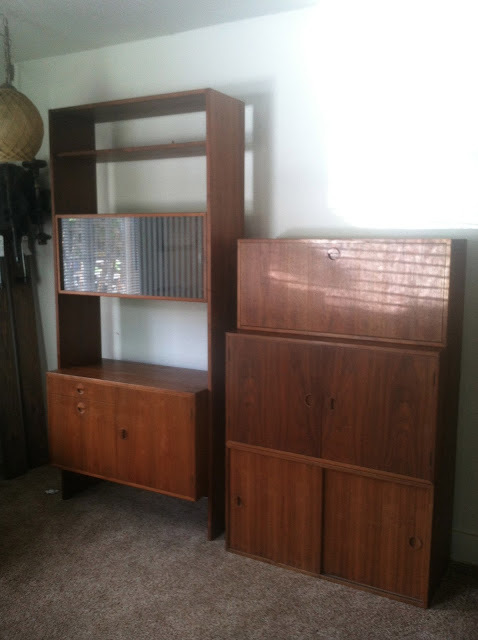 On Sunday I bought a disassembled mid century Danish wall unit. After loading it all into my truck I was informed that half of the hardware needed to reassemble the unit was missing. Once I got it home I had to try to figure out how to assemble it with the hardware I did have. The cabinet on the floor needed to be suspended between the two units but it was impossible without the original hardware. I took the exterior sides from either unit to make a single unit. This left three single cabinets. 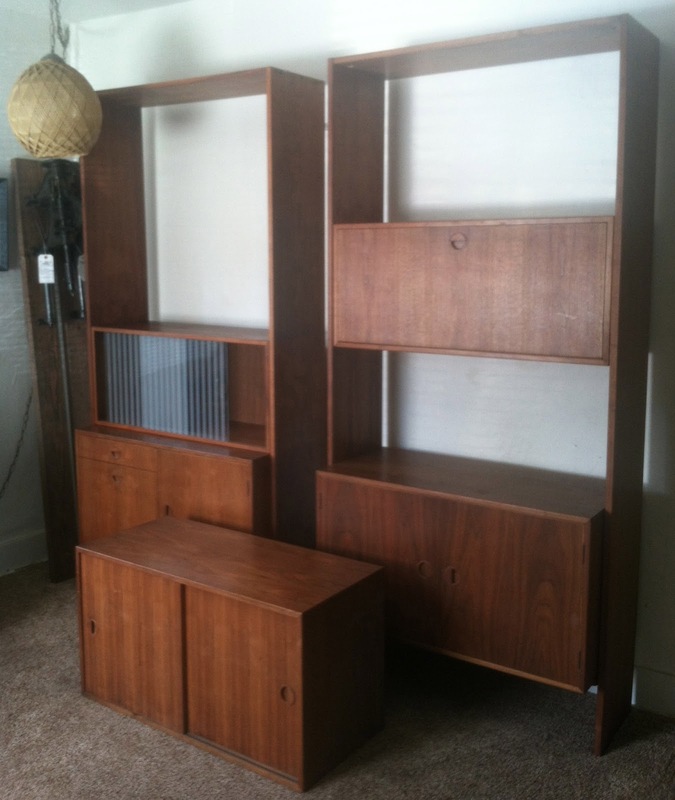 All of the pieces are interchangeable and could be switched into the wall unit. I also just picked up this Danish teak drop leaf dining table by BRDR Furbo. I am especially pleased with the pieces that we now have available. I could see it all going into the same home.